With the next installment in our series covering the 2017 Bordeaux Futures campaign, we go to Pauillac to examine offers from the 5th growth estates of Ch. Lynch-Bages, Ch. d’Armailhac and Clerc-Milon as well as the 4th growth estate of Duhart-Milon. Located in the commune of Bages, the history of the estate dates back to the early 1700s when the Dejean family sold the property to Pierre Drouillard. Drouillard’s daughter, Elizabeth, married an Irish merchant named Thomas Lynch who appended his name to the estate when they inherited it. However, during the time of the 1855 Classification, the estate was owned by a Swiss wine merchant named Sebastien Jurine who changed the name to Chateau Jurine Bages. The name was restored to Lynch-Bages by the Cayrou brothers who bought the property in 1862. In the 1930s, the owner of Ch. Ormes-de-Pez, Jean-Charles Cazes, began leasing Lynch-Bages and purchased it outright just before the start of World War II. The estate is still ran by the Cazes family today. A 1970 Lynch-Bages and 1970 Leoville-Las-Cases. In 1985, French astronaut Patrick Baudry took a bottle of 1975 Lynch-Bages on-board the shuttle Discovery, making it the first wine to ever go to space. The next year, the estate began aggressively marketing itself in China (the first classified growth to do so) and even today still has a major presence in the Chinese market. In addition to the St. Estephe estate Ch. Ormes-de-Pez, the Cazes family also owns Ch. Villa Bel Air in the Graves and (since 2017) the 5th Growth Pauillac estate Ch. Haut-Batailley. Outside of Bordeaux they own Domaine de L’Ostal Cazes in Minervois and Domaine des Sénéchaux in Chateauneuf du Pape. In the Douro, the Cazes family has a joint project with the Roquette family from Quinta do Crasto called Xisto Roquette E Cazes. The 2017 vintage is a blend of 70% Cabernet Sauvignon, 24% Merlot, 4% Cabernet Franc and 2% Petit Verdot. As I noted in the very first installment of this series, my objective during this campaign is to hunt for good values. Despite some of the “spin” coming from some retailers and merchants, I think the quality gap between 2017 and 2015/2016 is significant so I have zero inclination to spend anywhere close to what I can buy those superior vintages for. However, I do think the 2014 vintage is an apt comparison and, while I haven’t tasted the 2017 vintage yet, after much experience tasting the very sub-par 2013 vintage, I’m cautiously optimistic that this vintage will be better than that. Seeing that the 2017 Ch. Lynch-Bages is available for less than the 2014 (and even 2013 vintage from most retailers) puts this as definite Buy for me. Being a Lynch-Bages which has legendary aging potential, I have no pretense about this being an early-drinking wine or a “cellar defender” (see comments on the Ch. d’Armailhac below) but the value here is too good to pass up so it’s worth splurging as an exception. I personally don’t purchase futures with the intention of “flipping” them but looking at the track record of Lynch-Bages across a variety of vintages, this is almost as sure of a bet as you can get in buying futures that will only increase in price over the years. Again, tough to pass up when I can easily see this wine being at least $30 more expensive by the time bottles hit the market in 2020. Ch. d’Armailhac’s history can be traced to the early 1600s when the d’ Armailhacq family, who made their money as river boat captains navigating the Gironde estauary, began buying property in Pauillac. Ampelographers believe that potentially the first intentional propagation of Cabernet Sauvignon and Merlot on the Left Bank occured at d’Armailhac. Today’s Mouton Cadet likely has no d’Armailhac fruit in. The d’ Armailhacqs fell on hard financial times in the 1800s and sold the estate to the Ferrand family who later sold the property to Baron Rothschild in 1934. Initially the purchase was seen as a way to expand the holdings of Mouton-Rothschild and to increase production of their “second wine” (at the time), Mouton-Cadet. Over the next couple decades the estate went through a succession of name changes from Ch. Mouton d’Armailhacq, Ch. Mouton-Baron Philippe, Ch. Mouton Baronne and Ch. Mouton-Baronne-Philippe before finally returning to a modern version of its original name. 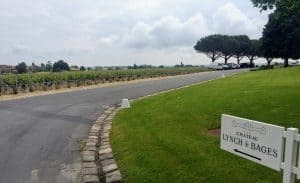 The vineyards of d’Armailhac include some of the oldest in the Medoc with several parcels of century-old vines and the oldest plot of Cabernet Franc vines dating back to 1890. Many of the plots border the First growth Ch. Mouton-Rothschild with others next to the 5th growth Ch. Pontet-Canet. The 2017 vintage is a blend of 68% Cabernet Sauvignon, 22% Merlot, 7% Cabernet Franc and 3% Petit Verdot. My second objective, beyond value hunting, for buying 2017 futures is to identify “cellar defenders” which are wines that will be fairly approachable at a younger age that I can enjoy guilt-free while giving my 2015/2016 (and some 2009/2010) time to reach their full potential. Usually d’Armailhac fits that bill and I was quite pleased with how delicious the 2011 d’Armailhac was drinking at only 5 years of age from another troublesome vintage. Now that wine was 57% Cabernet Sauvignon, 28% Merlot, 13% Cabernet Franc and 2% Petit Verdot with I’m sure the relatively high percentage of Merlot and Cabernet Franc contributing to the “mellowing” and approach-ability of this wine. While this vintage is not dreadfully far off but with more Cabernet Sauvignon and tasting notes that highlight the “grippy” tannins, I have some reason for pause. I think it’s going to be a fine wine and one that certainly offers good value but I suspect this is a wine that I’m going to want to hold onto longer than what I’m expecting (7-15 years versus 4 to 8 years). For folks looking to stock their cellars with a good under the radar value this should be a buy but for me and my cellar needs this will be a Pass. Like neighboring Ch. Duhart-Milon, the history of Clerc-Milon dates back to the 1600s with both properties staying united until the early 1800s when they were owned by M. Mandavy. His neighbor, Mr. Jean-Baptiste Clerc, purchased part of the estate and affixed his name to the new Chateau. The new modern winery of Clerc-Milon. The estate went through a succession of owners until Baron Philippe de Rothschild, owner of Ch. Mouton-Rothschild and Ch. d’Armailhac, purchased the property in 1970. The Rothschilds have been steadily renovating and updating the estate for decades and in 2017, Clerc Milon was the first property in Bordeaux to use robotics in the vineyards. Located in the northern part of Pauillac near Ch. Lafite and Ch. 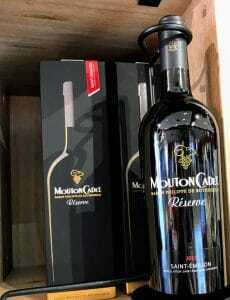 Mouton, Clerc Milon also owns a small parcel of vines near the 5th Growth Ch. Pedesclaux. The estate includes some of the oldest Carmenere vines in Bordeaux with a parcel dating back to 1947. Around 50% of Clerc Milon’s vineyards are farmed organically and biodynamically with the rest farmed sustainably. The 2017 vintage is a blend of 60% Cabernet Sauvignon, 23% Merlot, 14% Cabernet Franc, 2% Petit Verdot and 1% Carmenere. In troublesome vintages like 2017, I prefer to bet on wines that I have a history of enjoying. While I’ve had pleasant experiences with Clerc-Milon, I really haven’t been wowed by them–especially for the steadily increasing price points they are commanding. While I’m not expecting Mouton-Rothschild level of pleasure, many years I find that the “baby brother” d’Armailhac outperforms Clerc-Milon in delivering both pleasure and value. In great vintages like 2015/16, I’m far more adventurous and willing to take a flyer on estates that have underwhelmed me in the past. Along those lines, I’m more inclined to investigate some of the 2016s that are averaging around $74 and Pass on the 2017. Originally part of the vast domain of Marquis Nicolas-Alexandre de Segur, Ch. Milon (which includes part of the modern day Ch. Clerc-Milon) was considered the “second wine” of neighboring Ch. Lafite in the 1700s. In the 1830s, the estate came under the ownership of the Casteja family who renamed it Duhart-Milon to pay homage to one of their ancestors, Sir Duhart, who allegedly was a pirate in service of King Louis XV before retiring the village of Pauillac. The Casteja family owned Ch. Duhart-Milon until 1937 when inheritance laws and financial burdens prompted its sale. The property went through a succession of owners until the Rothschild family of Ch. Lafite purchased the estate in 1962. Today the Casteja family is most notable for their ownership of the negociant firm Borie-Manoux, the 5th growth Pauillac estate Ch. Batailley and the St. Emilion Premier Grand Cru Classes estate Ch. Trotte Vieille. Located to the west of Lafite on the hill of Milon, not far from the Carruades plateau where Ch. Lafite’s second wine is made today, Ch. Duhart-Milon is also neighbored by the First growth Ch. Mouton-Rothschild and its sister estate Ch. Clerc-Milon. The 2017 vintage is a blend of 76% Cabernet Sauvignon and 24% Merlot. This is another wine that is offering decent value but just doesn’t have the personal track record for me to make it compelling enough to pull the trigger on the 2017. My experience with Duhart-Milon is that the wines seem to want to emulate Lynch-Bages with the structure and age-ability but rarely delivers the level of depth and persistence of flavor that I get from Lynch-Bages. The high percentage of Cabernet Sauvignon also doesn’t bode well for expectations of short-term aging. I’m far more likely to change my mind and end up buying some of the d’Armailhac because of the more positive personal experience in both poor and stellar vintages but this is an easy Pass for me.